How do I grant my Active Directory users access to the API or AWS CLI with Active Directory Federation Services (AD FS)? I've configured access to the AWS Management Console for my Active Directory users using federation. How do I give users the same access for the AWS Command Line Interface (AWS CLI) using Active Directory Federation Services (AD FS)? If you Enable SAML 2.0 Federated Users to Access the AWS Management Console, then users who require programmatic access still require an access key and a secret key. 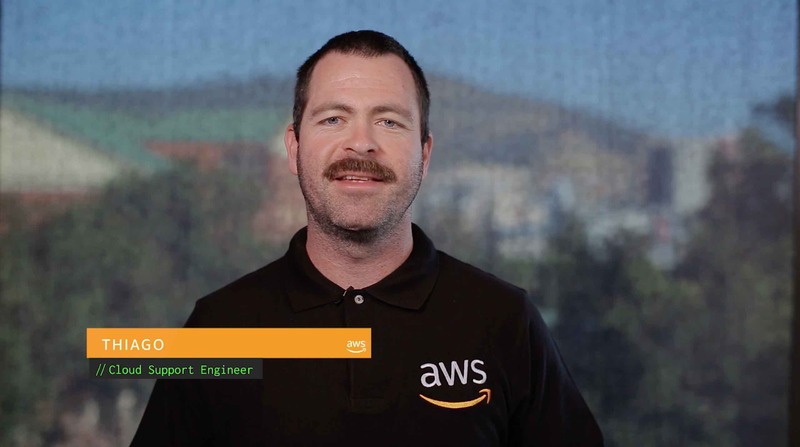 To get the access key ID and secret access key for an IAM user, you can Configure the AWS CLI, or you can obtain temporary credentials for federated users to access the AWS CLI. Enable Federation to AWS Using Windows Active Directory, ADFS, and SAML 2.0. Use version 3.1.31.0 or higher of the AWS Tools for PowerShell, or install v2.36 or higher of the AWS SDK for Python to your local workstation. > Import-Module "C:\Program Files (x86)\AWS Tools\PowerShell\AWSPowerShell\AWSPowerShell.psd1"
Note: This includes the complete URL of your AD FS login page and the login uniform resource name (URN) for AWS. Note: By default, the AD FS 2.0 AuthenticationType is set to NTLM. If you don't specify a value for the AuthenticationType in the AWS Tools Cmdlet above, then AWS Tools uses Kerberos by default. > $Credential = Get-Credential -Message "Enter the domain credentials for the endpoint"
2. Implement Federated API and CLI Access Using SAML 2.0 and AD FS, and then download the script from the blog post. 4. Set your preferred Region and output format, replace adfs.example.com with your URL, and then enter the fully qualified domain name (FQDN) of your AD FS server. If you have an alternate file path for your AWS credentials file, specify the file path. Your new access key pair has been stored in the AWS configuration file /home/ec2-user/.aws/credentials under the saml profile. Note that it will expire at 2018-03-14T14:57:45Z. After this time, you may safely rerun this script to refresh your access key pair. To use this credential, call the AWS CLI with the --profile option (e.g. aws --profile saml ec2 describe-instances). 6. After you have successfully federated, execute commands using the newly configured SAML profile using the --profile parameter in your commands. 2. Implement a General Solution for Federated API/CLI Access Using SAML 2.0, and then download the script from step 4 of the blog post. 3. Follow steps 3-6 for Solution 2: Python for AD FS using IWA (default for AD FS 2.0).